in a list, with a plot of your GPS data on the right side of the screen. 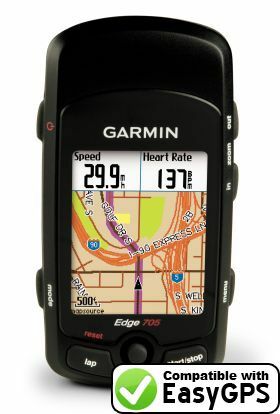 EasyGPS is the fast and easy way to upload and download waypoints, routes, and tracks between your Windows computer and your Garmin Edge GPS. Use EasyGPS to back up and organize your GPS data, print maps, or load new waypoints onto your GPS for your next hike or geocaching adventure. EasyGPS works with every popular handheld GPS receiver, and it is 100% FREE!